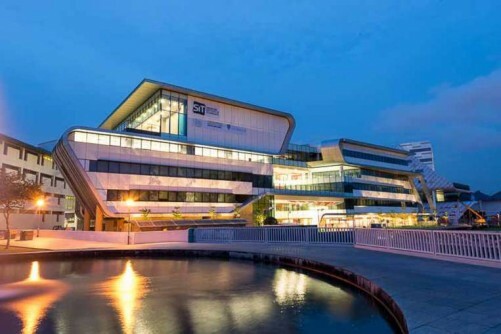 SINGAPORE - The Singapore Institute of Technology's aim to nurture "best-in-class specialists" - graduates with deep knowledge and skills - is hitting its target. Results of the first graduate employment survey released by the six-year-old university yesterday showed that its graduates enjoyed job prospects that are comparable to those of other university graduates here. Most of them are also hired for positions in the areas that they were trained for. This is higher than the 90 per cent employment rate for graduates from the older universities, which released their yearly survey results in February this year. SIT said the starting salaries of its graduates differ across industries. For instance, interior design and culinary arts graduates have slightly lower starting salaries than the others. However, as they accumulate years of work experience, they will be able to catch up with their peers in terms of salaries, it added. But the university noted that the salaries of its graduates in specific fields are comparable to their peers coming out of the other universities. For example, its nursing students earn a gross median monthly salary of about $3,500, similar to that of nursing students from NUS, and its mechanical engineering students' gross median monthly salary of $3,200, close to that of their peers with the same qualifications from NTU. The survey also showed that the majority of SIT graduates - a high 87 per cent - go on to work in jobs related to their fields of study. Almost 100 per cent of those with IT and health and social sciences-related degrees went to take on jobs in the industries they were trained for. Of the 1,212 SIT students who graduated in 2014, 1,006 took part in the survey from March to May this year. The students surveyed had graduated with degrees from SIT's overseas partners, which include the Technical University of Munich, the DigiPen Institute of Technology and the Culinary Institute of America. SIT said it did not have a large number of graduates in previous years to carry out such a survey. It has to do its survey later in the year than the other universities, as its final examination dates differ from theirs. In the National Day Rally in August, Prime Minister Lee Hsien Loong announced that the university which now runs its courses at its satellite campuses in the five polytechnics, will increase its yearly intake to 3,500 by 2020 and have a centralised campus in Punggol. Of the findings, Associate Professor Ivan Lee, SIT's vice-president (industry & community), said: " Our high employment rate, competitive entry-level pay and the employment of our students in relevant jobs show that our students are well-equipped for the industry. Our degrees offer our students a holistic education, allowing our students to have a good understanding of the nature of their jobs by the time they graduate."